The HTC One (M8) may not have launched with an overabundance of color options; only Glacial Silver, Gunmetal Gray, and Amber Gold are available currently, but that is about to change. 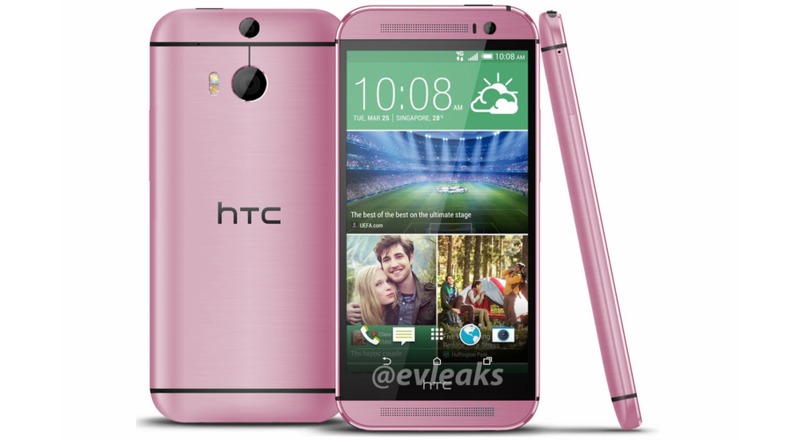 Evleaks revealed today a press render of an HTC One (M8) in Pink, which has been rumored for the past week and a half. And before you ask, Rhyme fans, it does not appear to come with a charm. Sorry. The leak of a pink option follows hints at a red and blue. If all colors come to fruition, that would bring the total number of available colors to six. Not bad, considering the Galaxy S5 currently only comes in four. No word on when the pink HTC One (M8) is set to launch, but you can bet we will keep our eyes peeled. It is DL Pink, after all.